I recently visited the library of Tama Art University for the first time. Because there is Shuzo Takiguchi Archives and they keep the most of books Takiguchi collected. I called the librarian, Mr. Onzo and Mr. Yamada and they showed me to the basement of library. Among his books I found 4 copies of my book "Kazuo Okazaki" in good condition and 2 books which I lent them to Takiguchi. 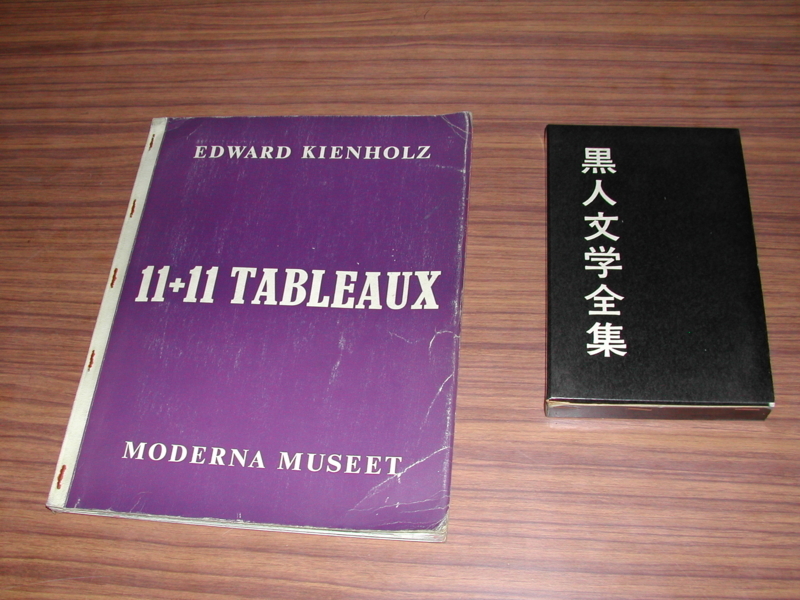 One is "Edward Kienholz" and other is "黒人文学全集／The Complete Works of Black Literature". It was strange to see my books after 30 years absence. It was last year that I was invited by another Takiguchi Archives of Keio University.